Former South Africa international Elriesa Theunissen-Fourie has been killed in a car crash. Police have confirmed that the 25-year-old died alongside her child following the incident, which took place in the northwestern town of Stilfontein in her native country. Theunissen-Fourie represented South Africa in four international matches - three ODIs and one T20I - and was part of the Proteas' 2013 World Cup squad. "This is a dreadful tragedy in the true sense of that word," said Cricket South Africa chief executive Thabang Moroe. "This is devastating news for all of us. 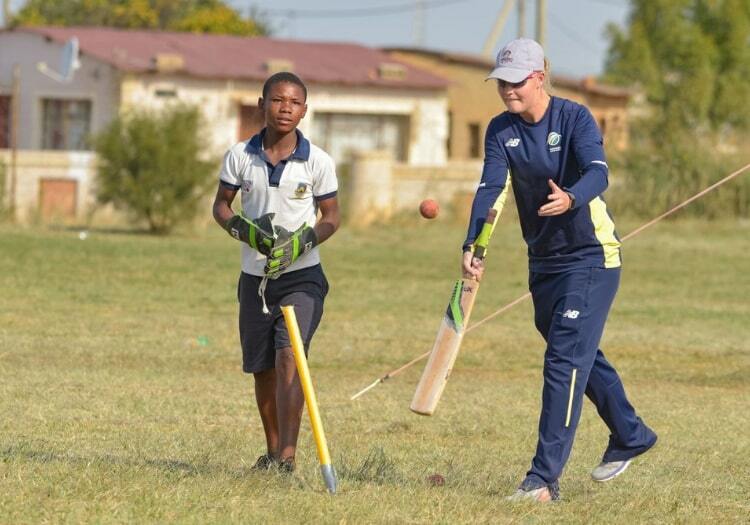 South Africa captain Dane van Niekerk paid tribute to Theunissen-Fourie on social media. "Rest gentle Elriesa. May the Lord bring her family and friends together," she wrote.